She’s been called an idea factory – a PR, marketing and social media guru – and a client’s secret weapon. Whether she’s representing a local, regional, national or international client, she’s known for developing innovative approaches to reach and connect with target audiences – bringing that special element to the marketing mix that creates magical results. It’s that element that led her to name the company she founded in 2001: Shazaaam! and to later rebrand her agency as Buzzphoria. Adrienne Lenhoff has been counseling and guiding clients’ marketing communications programs for nearly three decades. She is considered a social media marketing pioneer, having conducted her first electronic campaign in 1989/1990. She founded her own consulting firm while in college in Boston; later relocating the firm to New York; and used electronic media to enlist brand ambassadors and create consumer-driven communities across and outside the U.S. Since then Lenhoff has paved the way in electronic social media marketing for many clients, while also offering traditional marketing communications counsel. She has played an integral role in procuring and overseeing numerous multi-million dollar, multi-national joint venture and business development relationships. A native of metropolitan Detroit, Lenhoff has worked on a myriad of accounts in a wide range of industries, including automotive, consumer packaged goods, entertainment, healthcare, high-tech, manufacturing, nonprofit and professional services. Whether focusing on a business-to-business or consumer campaigns, she has earned a reputation for finding high-impact, yet cost-effective solutions that generate considerable return on investment for clients. Lenhoff received a Bachelor of Science in Communications from Boston University and completed her coursework towards a Master of Art degree at New York University. She and her agency has received numerous awards for PR and social media campaigns, cause marketing, media relations, community service and workplace culture. 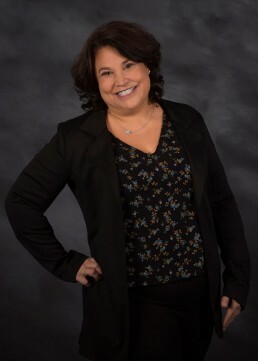 She has been honored as one of Michigan’s Top Ten Business Women by the National Association of Women Business Owners and received the Headliner award from Women in Communications.